Breathtaking water views and fresh seafood options are just two of the things that make happy diners return to The Watersedge Seafood Restaurant. 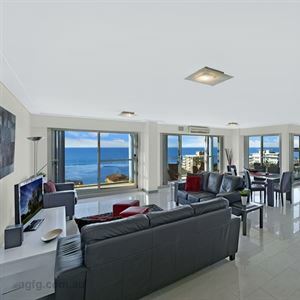 Situated on the blue waters where Tuggerah Lake meets the ocean at The Entrance, the Central Coast icon offers a relaxed and family-friendly setting with cheerful service. 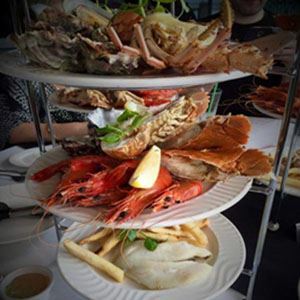 Soak up the sea breeze outside on the deck as you feast on a selection of seafood dishes, all made using fresh produce from Sydney Fish Market and Tuggerah Lake. Starters such as the blue swimmer crab meat, with a touch of homemade mayonnaise and hints of chilli on sourdough may be available along with the Thai-style deep fried whole barramundi with stir fried vegetables and chilli jam. Carnivores are also well catered for with dishes such as Moroccan lamb cutlets. Sorry to say we won't be going back. The table service was poor, we had to chase the staff for simple things like table water, it took 4 requests before we got some. Food was average and late. They were vacuuming the floors before we were finished our mains. Not the quality night I had hoped for. it was my first visit to this seafood restaurant, and I absolutely loved it. I ordered starters, mains and desserts and every course was delicious. The staff were extremely friendly, spent plenty of time helping me chose the meal and wine. There was a live singer that really enhanced the mood with some great live songs. From ordering to delivery of food was quick and I will certainly be returning to the restaurant to try the seafood platter next. Great work team. Wonderful job. Myself and my partner had lunch at the THE WATERSEDGE SEAFOOD RESTAURANT yesterday and the food was fresh and exceptional. I had the flathead though there was 6 options of whole fish to choose from. The presentation of the fish was very inviting and was cooked to perfection. I would recomend anyone looking for fresh seafood in the Central Coast area to try this restaurant as i am sure you will be delighted as i was. I also found the price more than acceptable for the quality of the food as you can see from my reciept.